Entries are invited for the Photography Competition on the occasion of Independence Day 2018. 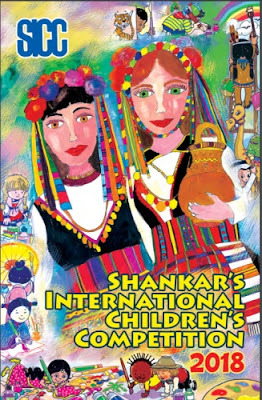 The theme of the competition is ‘Holiday Destinations in India’. The participants are to take original snap on the subject (should not be copy of picture snapped by someone else). 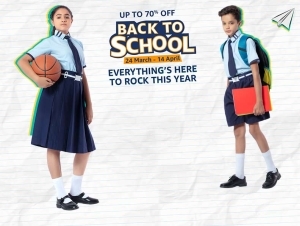 Any citizen of India of age group 18 years or more can participate in this contest. Participants can send only one snapped photograph on the subject. Department of Posts will not be liable for the same. The photograph along with the soft copy of image in a CD should be sent through “Speed Post” in A4 size envelope. The entries may also be emailed at philatelycompetition@gmail.com. 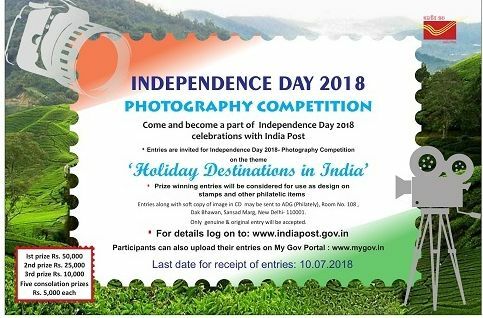 The participants should mention “ Independence Day 2018 -Photography Competition ” on the envelope in which the photograph is sent.